The couple has requested a set of 6 coffee mugs. Each mug costs $25. There are 6 mugs available for purchase, you may buy 1 or multiple settings. 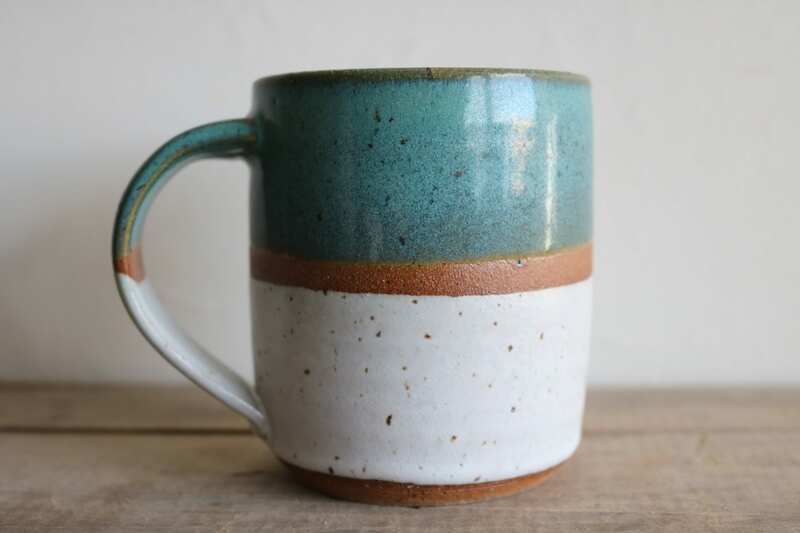 Mugs will be glazed in an assortment of speckled white, teal, yellow, smoke blue, and desert green.